photo courtesy of jess p.
This recipe dates back to the summer- but it was damn good. A weekend with all your friends… make friday night- let it sit in the fridge over night- and day drink on saturday. Ah, summer is feeling particularly far away today…. 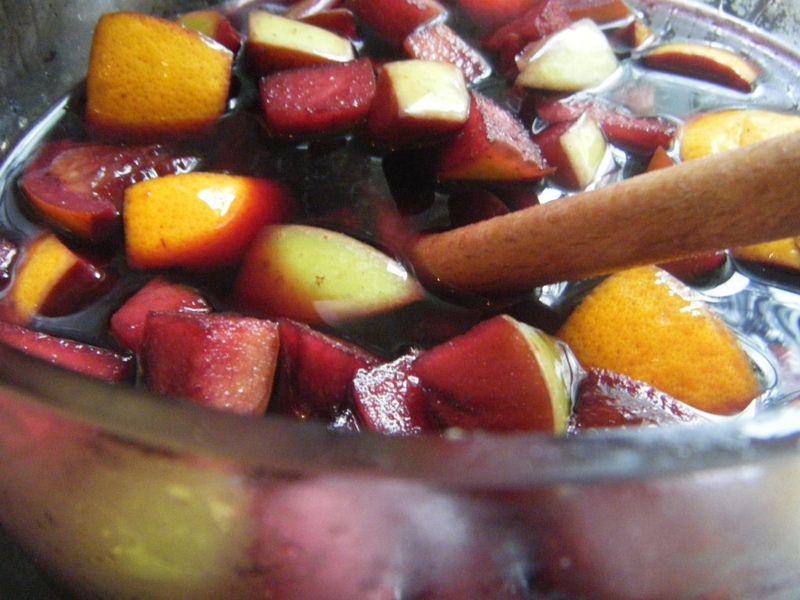 but stay tuned and perhaps i’ll make a winter mulled wine version. Boil water + pour over sugar to dissolve. Cool. Combine all ingredients in a large pitcher and refrigerate, covered, 2 hours or up to 2 days. Serve over ice.